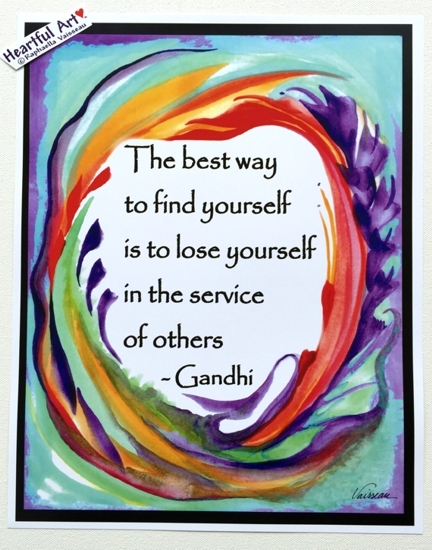 11x14 poster of a beautiful Gandhi quote, "The best way to find yourself is to lose yourself in the service of others" with art by Raphaella Vaisseau. An inspirational message to spiritual seekers. Also, therapy for moments of depression or self-pity when looking outside yourself to express an act of kindness will align you with the joy of your inner being. Feel the blessings of being of service to others.